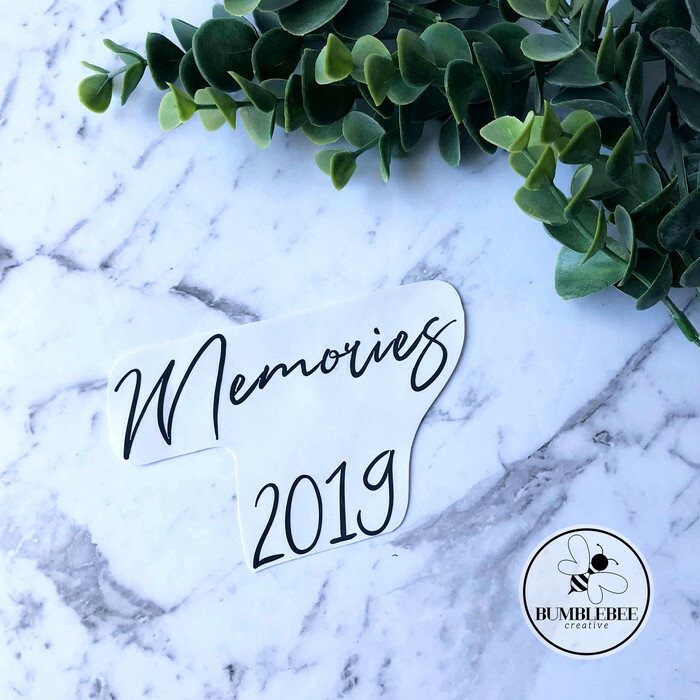 Actively work to remember your blessings or collect your memories. 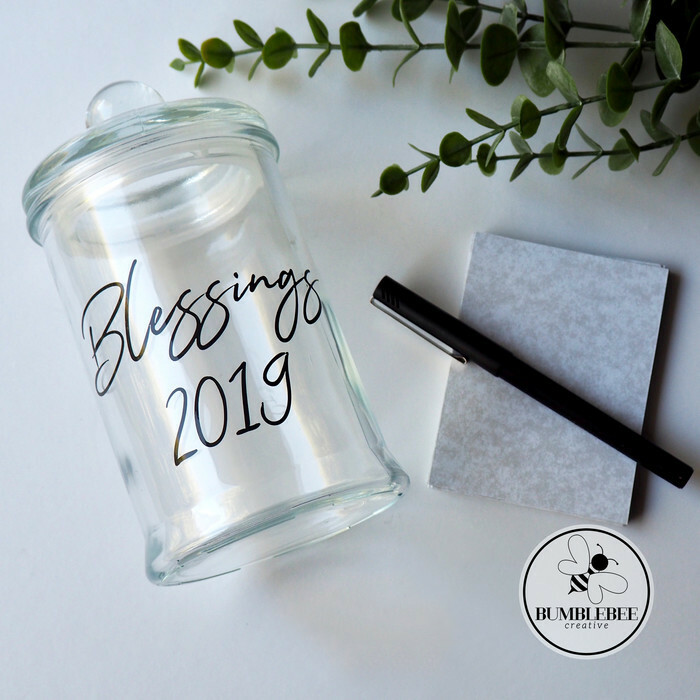 The idea behind the blessings/memories jar is to save your blessings or memories by writing them down on the pieces of paper and keeping them in the jar. Save them for the end of the year, or when the jar is full or even when your having a bad day and need a reminder of how good life is. 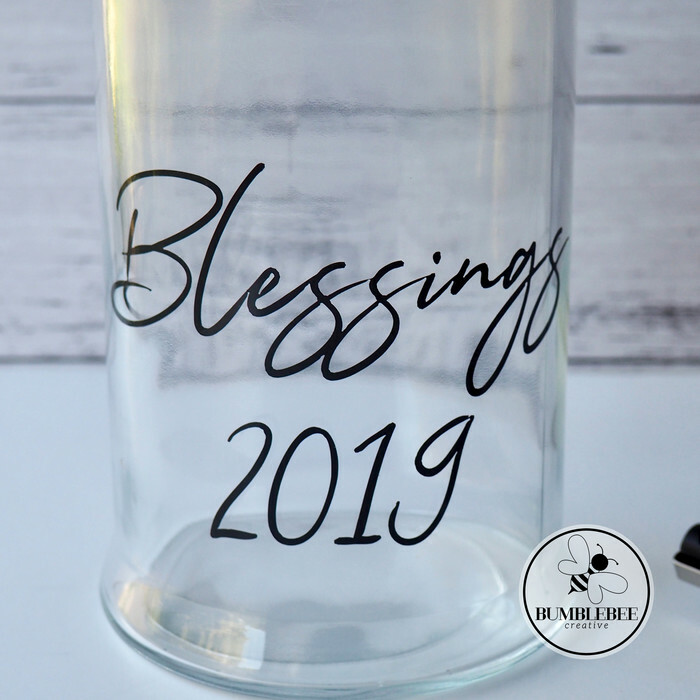 This is a great low budget and thoughtful gift idea. 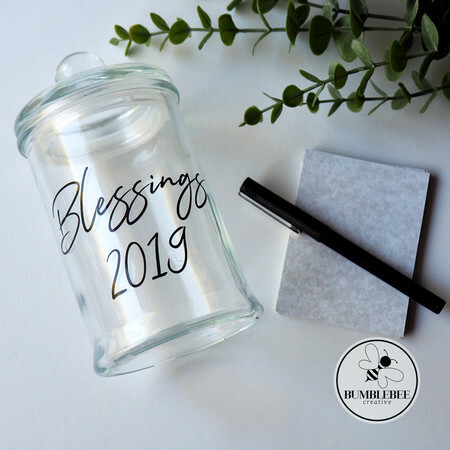 All you need to supply is a jar, pen and squares of paper and a thoughtful not to the recipient. 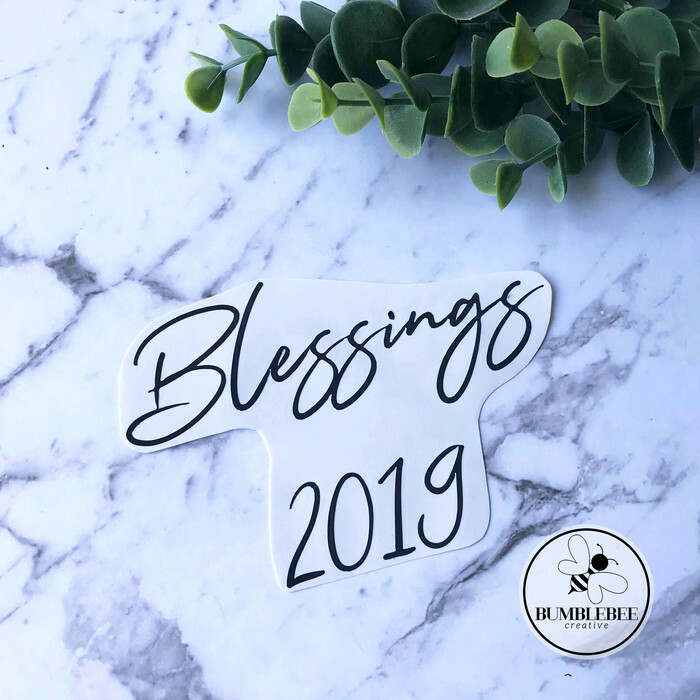 This listing is for your choice of one sticker in either Blessings, Thankful or Memories with the year 2019. Sticker shown is in gloss charcoal and sticker size is approximately 11 x 18 cms. Your sticker comes ready to apply with easy to follow instructions. Message me if you want a custom sticker or different vinyl colour. For the current turn around time, please see Store Announcement. For urgent orders, please contact me directly to make sure I can meet your deadline. Find me on Instagram @bumblebee.creative or Facebook @BumblebeeCreative. 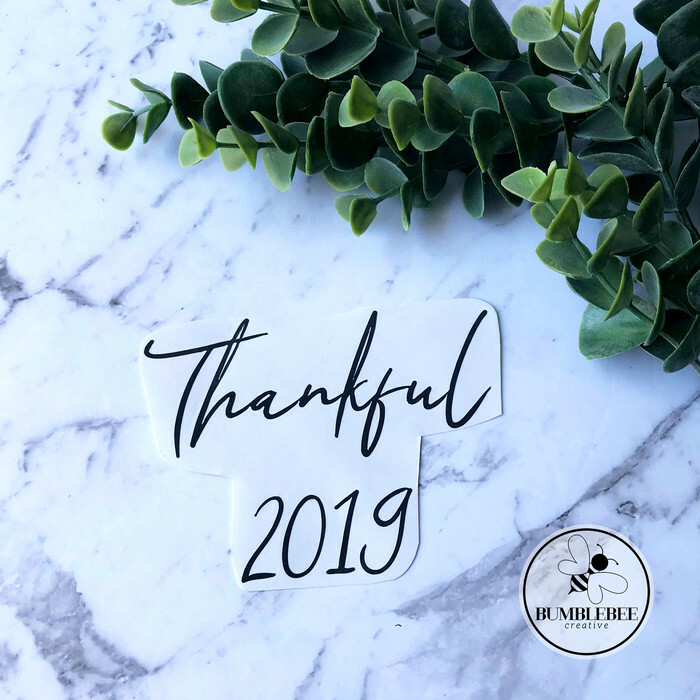 Hi, thank you for supporting my handmade business. 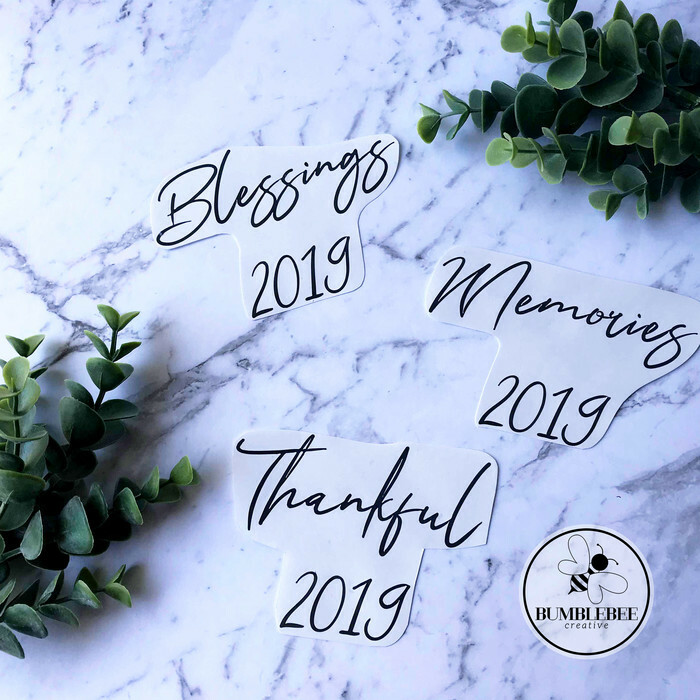 During checkout please make a note of which sticker you would like - Blessings, Thankful or Memories. If nothing is chosen one will be picked at random. I will email to confirm once your item is posted. Have a great day!